Thorpe Park REAL Walking Dead Living Nightmare Zombie Car Park Ride Experience! Summer is here and families will be busy planning multiple visits to Britains theme parks, where the number 1 UK operator is the Merlin group with it's 32 theme parks and attractions including 10 or so in and around London, which includes Thorpe Park situated in Chertsey. The theme parks latest attractions feature the Walking Dead Ride and the Walking Dead Live Experience. Unfortunately the zombie nightmare continues even AFTER the park rides have closed as the park becomes a dangerous nightmare to escape! 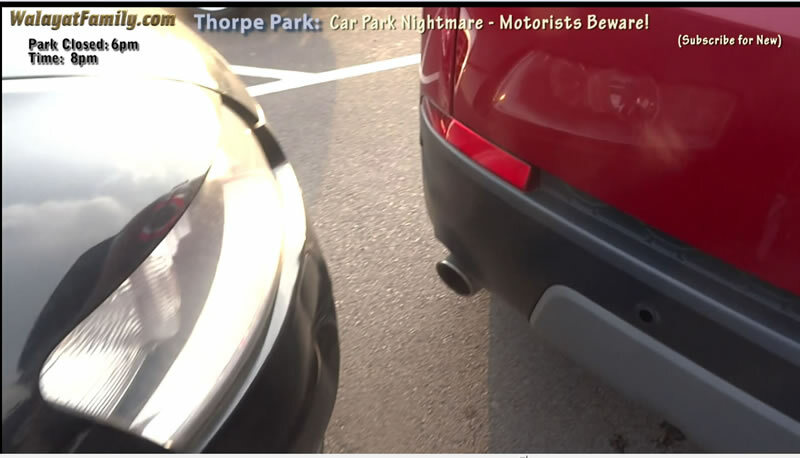 So motorists need to be fully aware of the nightmare that is this theme parks car park truly is! As was our recent experience when we visited Thorpe Park for the first and LAST time! Thorpe's car park full of frustrated drivers unable to exit, stuck in multiple grid locked queues as apparently there is only one exit route for the whole theme park with ! Nor does it make much difference if you leave exiting the car park for an whole hour, even two hours after the park's rides close because it's still going to be a living nightmare to exit! So it does not matter of your an ultra safe driver who has not had an driving incident for decades, Thorpe Parks car park full of frustrated grid locked drivers beeping their horns, or driving around aimlessly in circles is a recipe for disaster, yes you guessed it BANG! 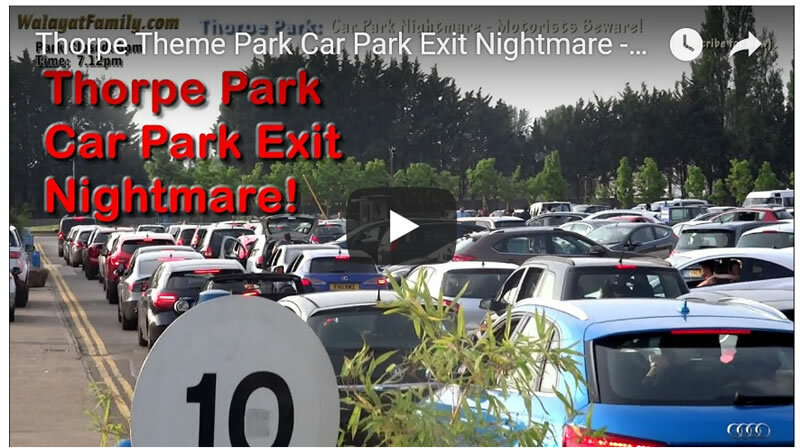 What's worse researching on returning home from our Nightmare experience reveals that our experience of a nightmare car park is nothing new for countless reports spanning many years on the likes of Trip Advisor complaining about the dangerous nightmare that is Thorpe Park's car park! I went for a day out here today with my best friend. With the knowledge school holidays are two weeks away so it wouldn't be busy. WRONG. Where do I begin? Parking is unorganised and unmarked so it's impossible to find your car at the end of the day out. What's wrong with putting areas and zones to make it easier?! We complained to Thorpe Park customer services about their dangerous car park who offered a return visit to any merlin attraction that unfortunately is useless to annual pass holders such as ourselves. The bottom line is that we will NEVER visit Thorpe Park again, nor would we recommend anyone visit the park on a busy day (basically any holiday) due to its nightmare car park where even ultra safe motorists can run the real risk of being involved in an accident on attempting to escape the car park as was our experience. 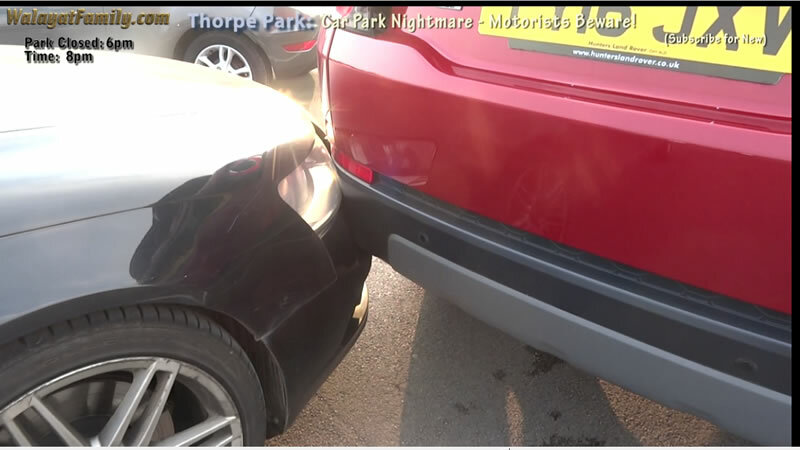 IT IS JUST NOT WORTH THE RISK AND STRESS AND FINANCIAL CONSQUENCES of what follows an accident primed by the chaos that is THIS theme parks car park! So now we have to go through the rigmarole of getting our car repaired!